low profile LED in various CCT options and lumen outputs. 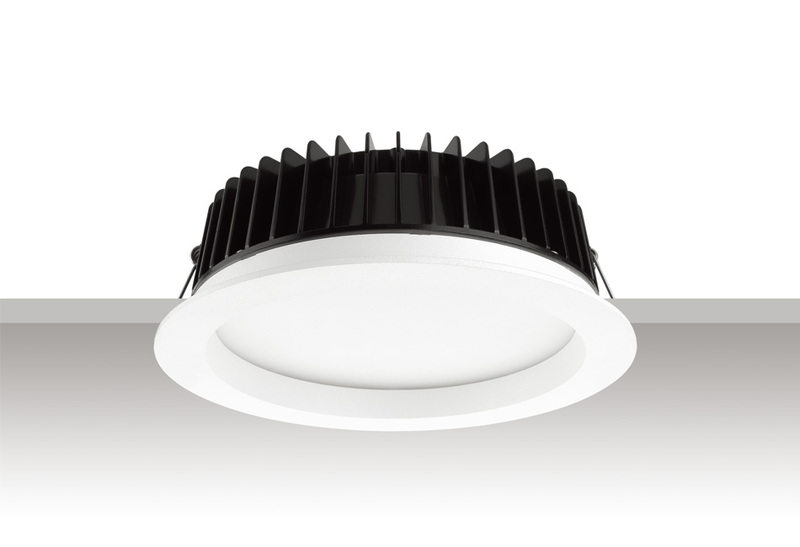 The Elat LED Down Light is a wide 90 degree beam down light , IP65 with anti-glare difusser. Using SMD LED instead of COB in 18-35 watt outputs this range of LED Down Lights is built for moisture resistance and low ceiling voids with its shallow draft heat sink.